NEHA's online review course for the REHS/RS credential exam is currently being updated and is not available at this time. 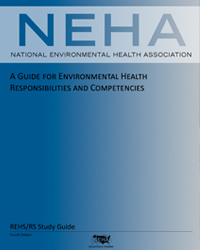 However, you can still prepare for the NEHA Registered Environmental Health Specialist/Registered Sanitarian (REHS/RS) credential exam with the REHS/RS Study Guide. The Candidate Information Brochure for the REHS/RS credential contains an exam description and content outline for interested candidates. Individuals may apply for the REHS/RS credential by submitting an application. More information on the REHS/RS credential and exam may be found on our website.